Earth to Lisa: Do you know that it’s raining? But I can FIX the hammer! I am grateful for the experience of setting and grouting (and cleaning!) the tiles; the paintings are more believable than ones from earlier years. After learning how to work with real mosaics, I learned that the grout often sticks where it’s not wanted – no matter how many times one wipes those areas clean! When I open the next tube of white silicone to weatherproof a few areas of Casa Loca, I will add the final edge around the mirror and will most likely dab a few of the painted areas. Several other projects are waiting my attention. One is a three-legged chair that was rescued from the trash truck. It and two other chairs looked quite forlorn on the street, but they are much happier now. But that’s for the next Timeout for Art! The black chair has three legs; the oaks were in fair shape; they just needed to visit the unwanted furniture ER clinic! With the end of the year approaching, Jama’s very talented Rycardo Alcivar is creating another masterpiece from bamboo and palm thatch! (See Dec. 2013 Iguana details.) Next week will update the progress on his creation as well. Rycardo is creating from bamboo again! HAPPY HOLIDAYS, everyone, and save your gift-wrapping paper to build an end-of-the-year effigy! 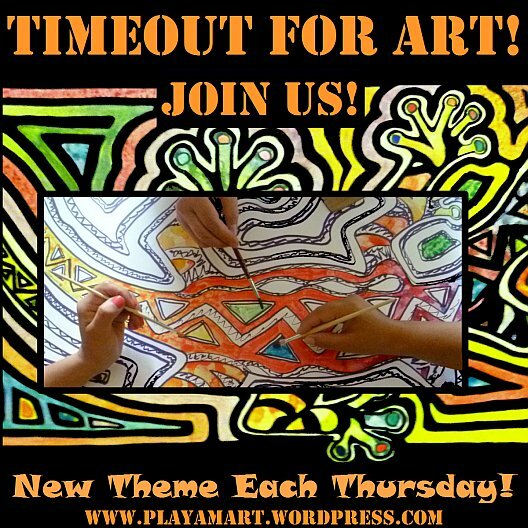 Next week’s Timeout post will be a busy one! There used to be a wonderful three-legged chair here in Bahia Kino. The third “leg” was an old stump. I loved it! Also loved the old man who used to sit in it and watch people go by. I now wish I’d photographed him. i think i’ll use a section of bamboo for the third leg on this one. A stump would certainly be a funny option! enjoy your time in mexico, and may your holidays be rich with memories and experiences. do they observe the burning of effigies at midnight on new year’s eve? Both yesterday and today reveal more beautiful, creative solutions…I can’t wait to see how you transform the chairs! they were fun, and they were so ugly that anything would be an improvement! they[‘re not finished yet but are so much happier! Happy holidays lisa! I could not post today my mom got sick maybe next thursday. I have never dine mosaic, it looks like is alot if fun. Like the colors you use in the mirror. your mother certainly trumps most anything else in your path! i hope that she’s better soon, and she’s already better with you by her side with your caring heart. I will, she is much better, I think is the weather here in Texas there are days that are hot and others cold, it is very unpredictable. Lisa you have a beautiful knack for seeing beauty in almost everything you see!! Even some of the craziest things come out of no where and end up beautiful! Can’t wait to see these chairs in all their beauty when I visit you!! thak you, amiga! we’ll have many options for new projects, but i promise, we won’t take on a challenging time-consuming project like the last one! it will be great for you to return and see the changes, all thanks to your help at literal ground level! Lisa, that quote about every part of life being a preparation for the next is so true! We often compare our lives to when we lived in the Ozark Mountains, without running water, electricity, and all the trimmings that come with a fast lane kind of life. I really have a hard time telling the difference between your painted mosaics and the real thing. It’s all in the detail, which you definitely have an eagle eye for the detail. Happy holidays, Lisa. Eagerly awaiting Rycardo’s creation this year. and i am thinking of you and the ‘canal project’ kickoff date. the yet-to-be found artifacts and sites, thefresh-water sharksi and the tarpon and the sleeping giat volcanoes —-hope that your area remains pristine and untouched for years and years to come. I don’t know how you do it, with slow internet, power outages, out of control grout! You rock, girl! Can’t wait to see the chairs! Have a great week, z. As long as we have known you and admired your amazing talent, one might think that we would cease to be amazed at the creative depth you show in all of your work! This is simply amazing. Ten days without power! We cry here when the power goes out for and hour or two. Happy New Year, Lisa. We love and miss you. you would master this style as well! it’s a matter of patience, and the end result if very believable. thank you! will be heading home tomorrow and hope that the power is up and running… most likely it will be working fine! hmmm. probably a record – you”re right.. alll though in mississippi we were without power for two weeks during an ice storm — and my father was without power for a month! the ocean has been benevolent, and i’ll be going home tomorrow… we have had a productive wave watch – and produced some great art!